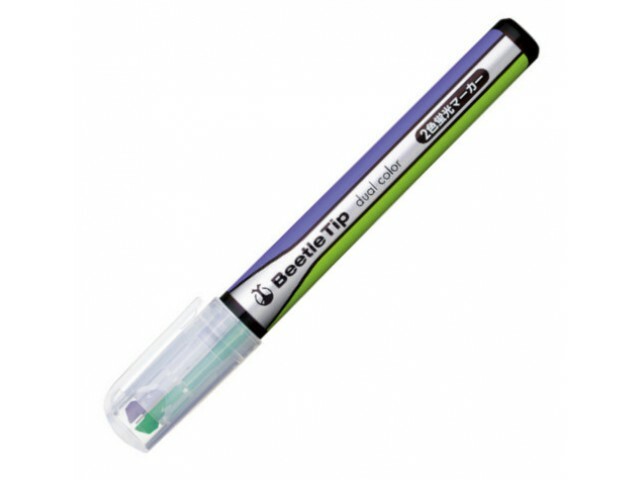 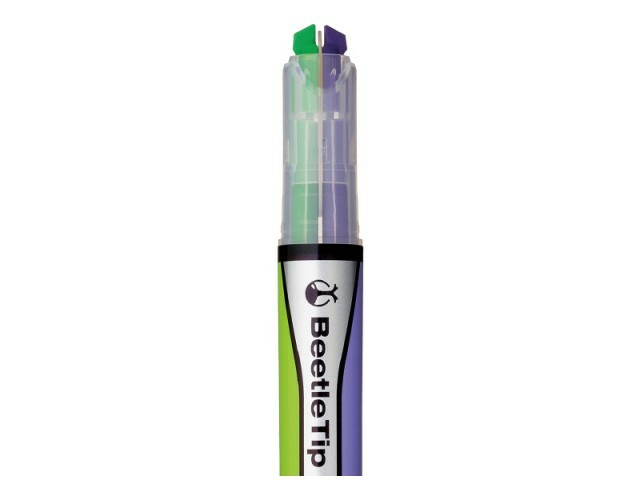 Kokuyo Beetle Tip Dual Color Highlighter features dual tips that are next to each other. 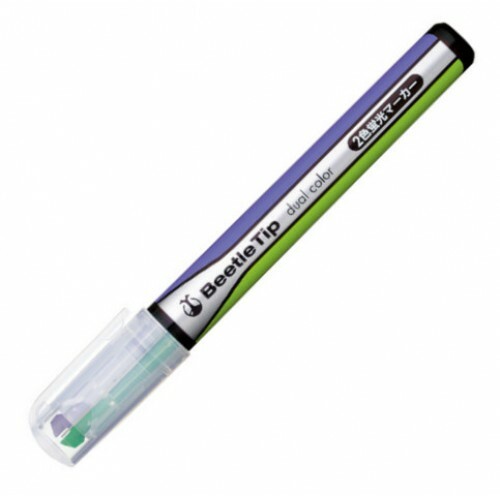 Simply rotate the pen to switch colors. 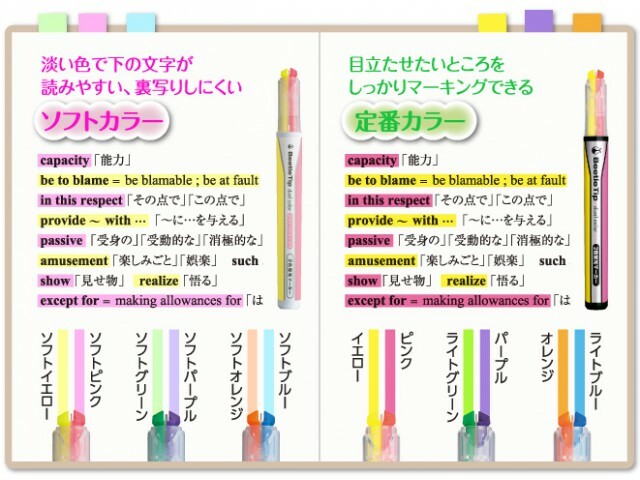 There is no need to cap and re-cap.